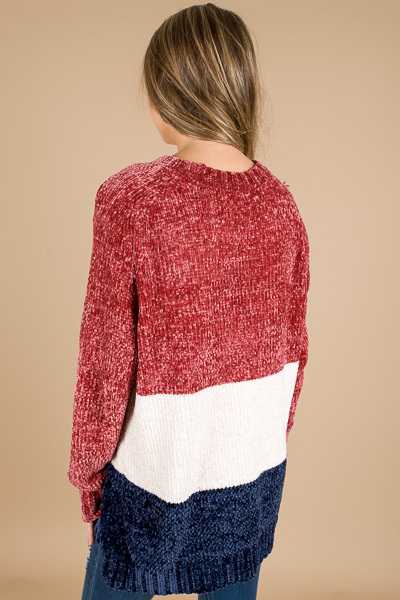 This sweater will have you right on trend AND comfortable with the softest chenille knit + it's colorblock feature. Longer length for coverage, and material is made from a super soft cotton acrylic blend that offers plenty of stretch! Fit is roomy. Model is wearing size small. We are showing it to you on Jordyn (5'8") and Stacy (5'3") tp help you better judge the length. Shoulder to hem measurement is approx 32" on size small.